The Makeup Show NYC is back for its 11th year at the Metropolitan Pavilion, 125 W. 18th Street on May 1st and 2nd. The Makeup Show NYC is sponsored by over 70 top pro-focused brands including: Diamond Sponsor MAKE UP FOR EVER, Platinum Sponsor Crown Brush and TEMPTU, Silver Sponsors Obsessive Compulsive Cosmetics, Frends Beauty and NARS, Supporting Sponsors INGLOT Cosmetics, Smashbox and MustaeV, Contributing Sponsors Glamcortec, Bdellium Tools and Pinnacle Cosmetics, and School Sponsor MAKE UP FOR EVER. Check out the highlights from this year's upcoming show. The Makeup Show Gala - Friday, April 29th from 7pm-10pm, The Makeup Show Gala will shed light onto the next ten years by looking back into the past. Celebrating the music of David Bowie, The Makeup Show has chosen “Sound and Vision” as the contest and theme of this year’s gala. Scott Barnes – The Signature Style of a Celebrity Artist: insight into working in the celebrity and editorial world, and offer expert advice on how to bring your makeup to an editorial level. Nick Lujan and Lori Taylor, Hosted by James Vincent - The Skin That I’m In: Diversity in Artistry and Application: discussion about what we can do to become a community of inclusion, including favorite products, personal viewpoints, information and opinions on the importance of breaking race barriers in our artistry and industry. 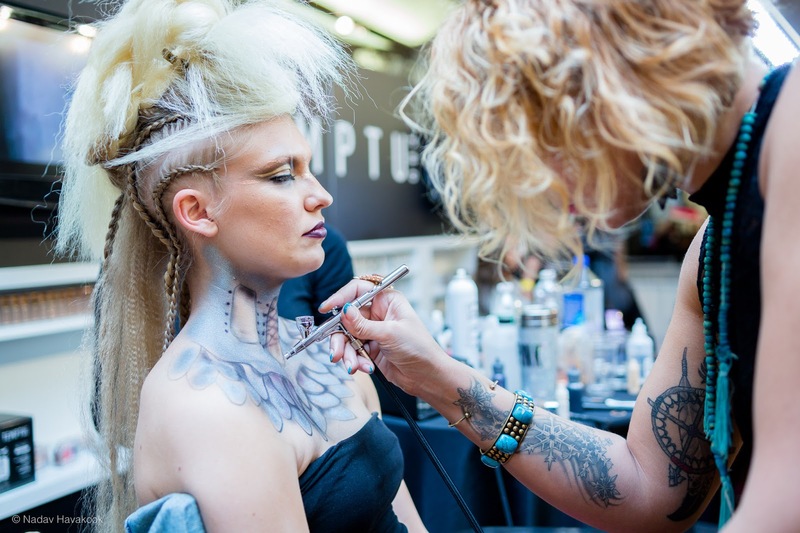 A Career In Makeup – Gregory Arlt, sponsored by MAC Cosmetics: Gregory will share how he got started in the industry and show you the why’s and how’s of creating unforgettable makeup regardless of your own area of expertise. Career Fair - The Career Fair is back to provide the opportunity for face-to-face interviews and career tips from experts and the chance to meet with possible employers. Guests are invited to come and learn what potential employers are looking for in portfolios and resumes and to network with industry executives, decision makers and experts. The Career Fair will be held Sunday, May 1, 2016 – 4:30pm -6:00pm. Beauty Tour NYC - Grab a glass of bubbly and finish off the weekend as James Vincent, The Makeup Show’s Director of Artistry and Education takes you through a champagne fueled ride around Manhattan and makes stops along the way at all of his favorites makeup haunts! 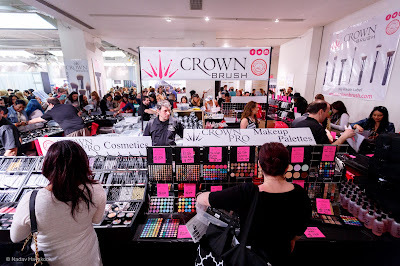 For a complete schedule of Keynote Speakers as well as a list of participating brands, schedule of events and prices, please visit www.themakeupshow.com.